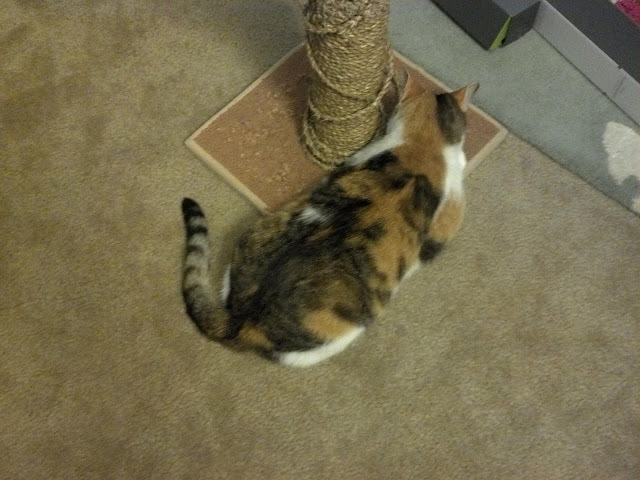 Here is kat and her scratching post. 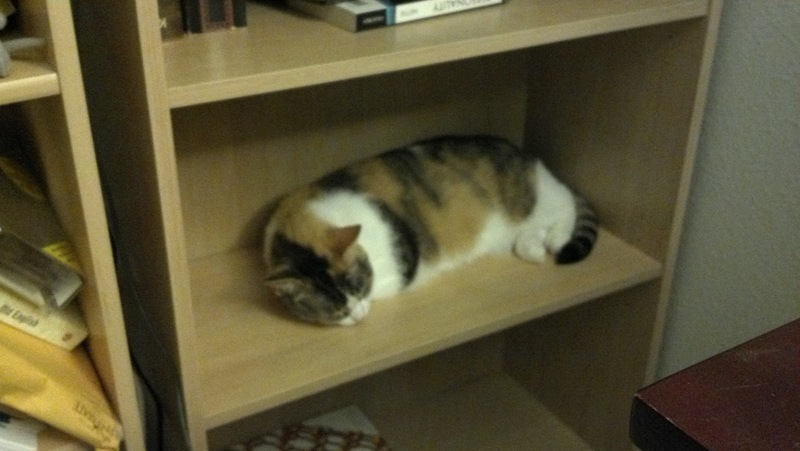 And some catnip, maybe. I made it over a month with drawing something daily... and now I'm going to take a break. Maybe. It's gotten to the point where I'm forcing myself to do it instead of doing it because it's fun. Or the week long headache is just getting to me. No idea. I'll still look at the daily topics and see if it is something I feel like drawing or not. Also, two MOOCs that I'm signed up for are starting soon. 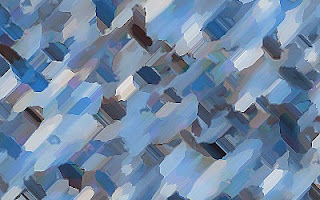 Intro to Mathematical Philosophy on coursera.org and Fairy Tales: Origins and Evolution of Princess Stories on canvas.net. I recently discovered another MOOC site, edx.org. I signed up for a science & cooking MOOC on that site to see how their set up is, but that doesn't start until October. And now, to the drawings. Monday: The topic was to look at a "noise" drawing and draw what you see. I saw a monster. I decided he looks like a baby Gossamer from Looney Tunes. Tuesday: The alternative topic was to draw an anthropomorphic lizard. Wednesday: Topic was virus. 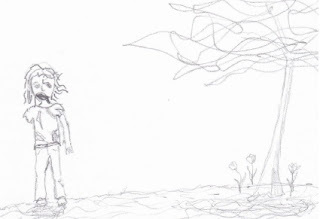 I didn't really find anything good to draw and most Google search images looked like this. Thursday: Big bad wolf or little red riding hood. Friday: Free draw, as always, plus a topic suggestion. My topic suggestion was "addictions. silly, silly addictions"
Saturday: The serious topic was a 3 panel progression. I called this "migraine". I didn't feel like drawing today, so no Sunday topic to give. I felt like writing this today. I don't need/want any advice or anything. I just thought I'd share. The list of things to avoid and that I cannot control isn't complete. I just didn't feel like writing/drawing anymore. I'm not on any medications or supplements now since the negative side effects outweighed the benefits by a lot. I just try to live a consistent and boring life. 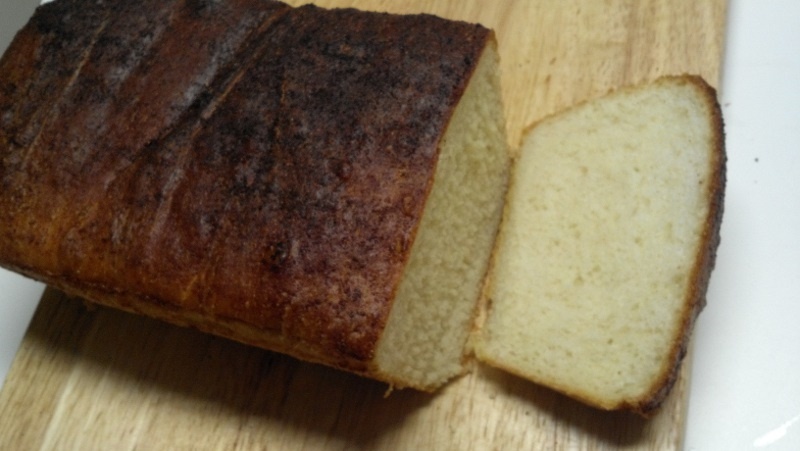 Not daily bread, biweekly bread. And by "biweekly" I mean twice a week and not once every two weeks. This loaf came out of the oven a half hour ago. Anyhow, I have advanced the deliciousness of the bread yet another step by adding garlic to the butter that is brushed on top. It is still good with peanut butter and jelly, so everything is good. 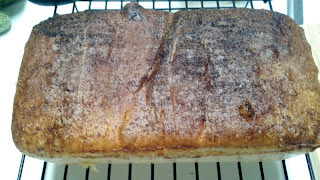 I think it is time to update the bread recipe on my baking blog. I feel that everything I drew this week was unimpressive, but that is okay. I'm not an artist. I don't need to be good at this. Monday! Three panel comic. Already posted this, but hey... have it again. Tuesday! Was my birthday so I decided I didn't have to follow the suggestion. Again, you already saw this. Thursday! Topic was to think of a Bmovie horror theme and draw it. I... don't like sharp objects. Friday! Free draw. I drew what I feel my migraines look like. A cloud with a knife. Saturday! The serious topic was gesture drawing. It's fun, but I'm not good at it yet. Suggested was 10 in 10 minutes. Challenge was 60 in 60 minutes. I managed 22 in 22 minutes. Sunday! Had migraine. Theme was snails. I didn't feel like doing still life, so I attempted more gesture drawings. And that is 4 entire weeks in a row. Is it 4? I think so. It has come to Lucky's attention that humans use blankets in stupid ways. Instead of laying on top of the blanket in some fashion, humans tend to lay the blanket on top of themselves. 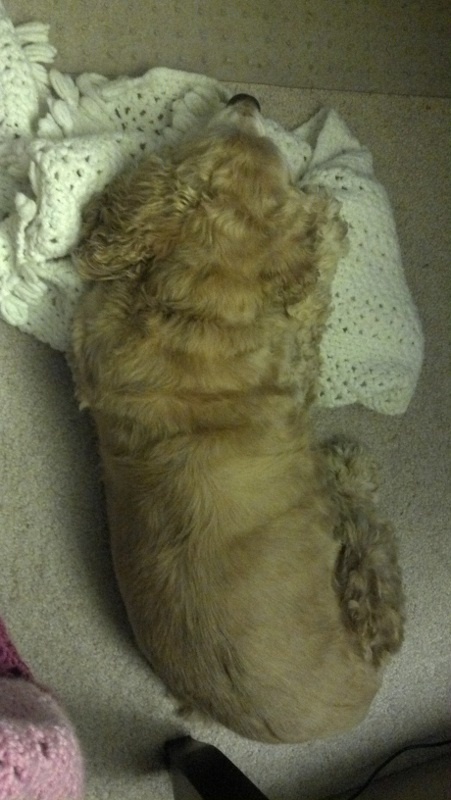 Lucky would never allow for such a misuse of a blanket. 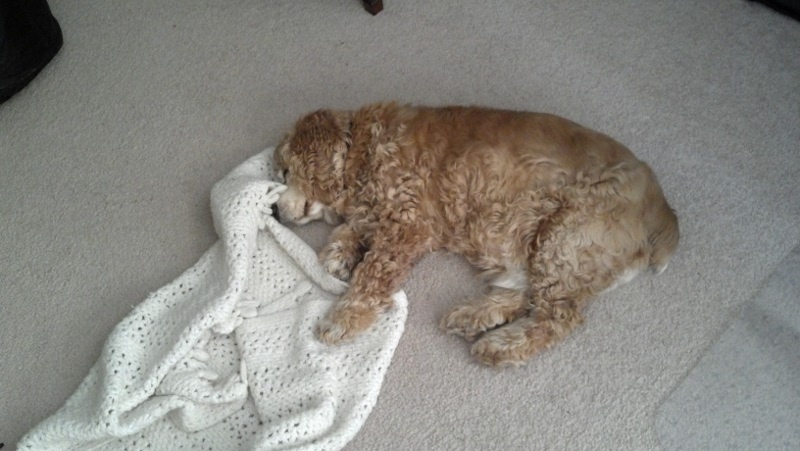 In this post, as simple guide for all humans, Lucky demonstrates several ways to properly use a blanket. 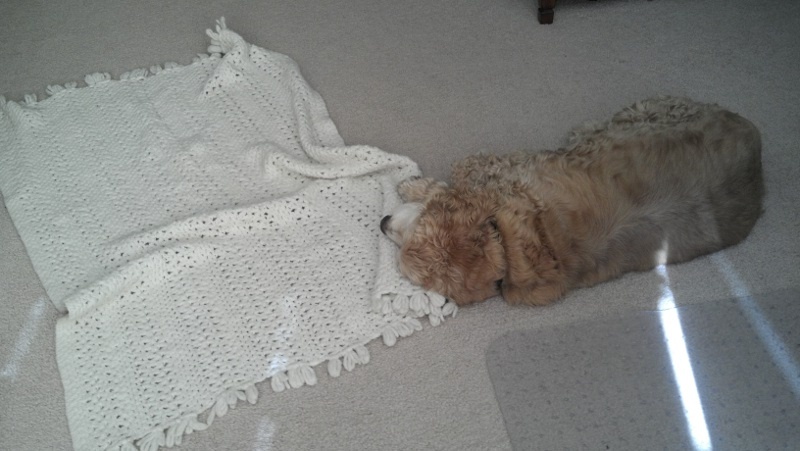 The simplest way to use a blanket is as a low pillow. To do this, just scrunch up a corner of your blanket. Then, place your head on the blanket and fall asleep. 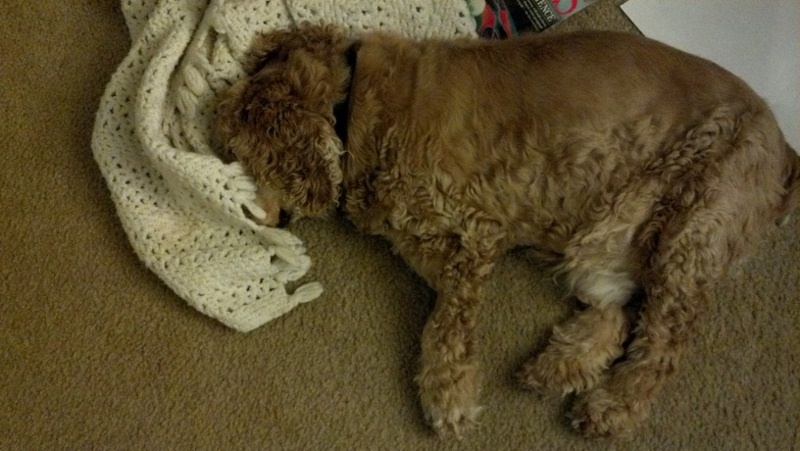 The next way to use a blanket is as a nose cover. This is very important for those cold nights. Or when someone leaves a fan on. Note how he keeps a paw on the blanket. It is important to not allow anyone to touch or use your blanket. A step up from the "nose cover" method is the "light blocker" method. As the name states, this method of blanket use is to block light. This is helpful for when humans foolishly leave lights on when it is nap time. When your blanket is bunched up and you don't feel like spreading it out, the best option is to use it as a full pillow. 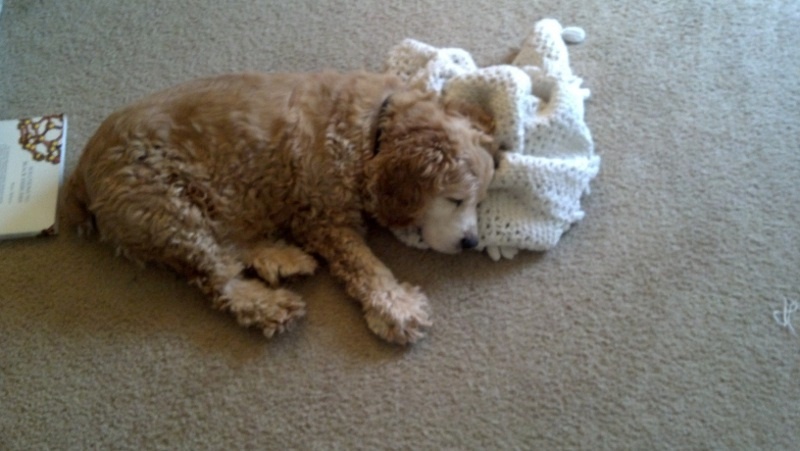 Why waste time rearranging the blanket when you could be sleeping? If you are a stomach sleeper, you can still use the blanket as a full pillow, as demonstrated here. A more advanced blanket technique is to sleep on the blanket as if it were a nest. Keep in mind that it takes a minute or so of arranging the blanket to get it into the perfect nest shape. This is not a method for beginners. Hopefully this has been informative. 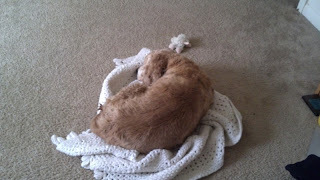 Lucky would provide constructive criticism of your individual blanket use, but he has a very busy schedule. I didn't feel like making a haiku or drawing. 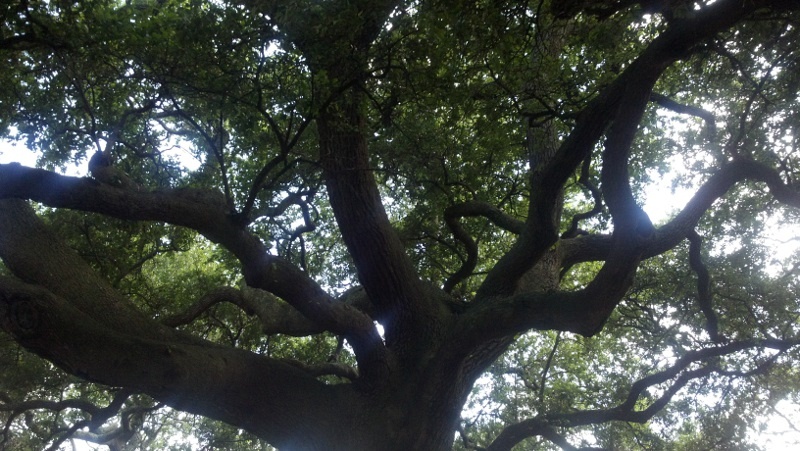 So... tree. 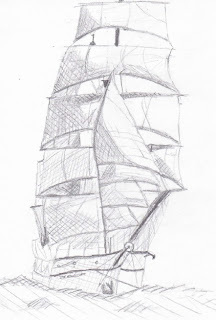 Monday: The topic was ships. 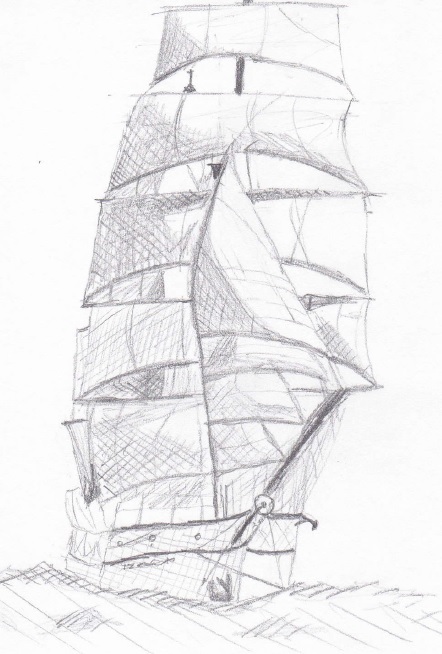 I am a fan of tall ships. Tuesday: The theme was zombies and flowers. I have no idea how to draw people things. Not even the undead variety. Wednesday: Wednesday was something called the Exquisite Corpse. Three people make the three different parts of a person: head, middle, legs. I did the legs on this. I felt this guy needed bunny slippers. 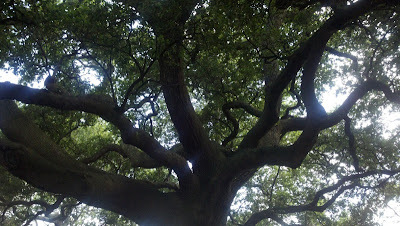 Thursday: This theme was landscapes. I felt like playing with chalk pastels. I am awful with chalk pastels. Friday: For the free draw I decided to improve my landscape drawing. Saturday: The serious topic for this Saturday was to draw something upside down. I did a Google search for a random barn, saved and rotated the image 180 degrees, and drew it. Sunday: Today's still life topic was drapery. So I drew the fabric of my one skirt. I still get frustrated too quickly when drawing fabric. I get lost in the folds.